WARSAW — Travis Mrozinski, 23, 310 N. Hickory St., Apt. E, North Webster, will begin serving his sentence on one criminal case, while awaiting hearings on four additional cases. Mrozinski appeared before Kosciusko Circuit Court Judge Michael Reed Wednesday morning, Dec. 26, for sentencing on drug charges stemming from January 2018. 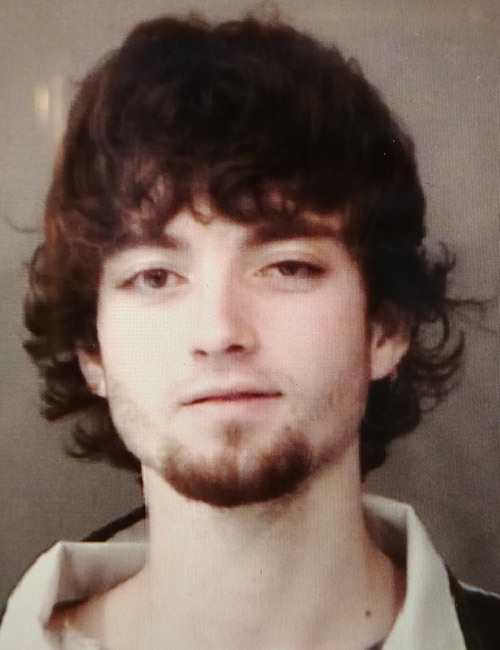 Through a plea agreement, Reed sentenced Mrozinski to one year each in the Kosciusko County Jail on the charges of possession of methamphetamine, a level 6 felony; possession of a controlled substance and driving while suspended, both class A misdemeanors, and 60 days for possession of paraphernalia, a class C misdemeanor. The sentences will be served concurrently, but consecutive to the sentences imposed in four other cases. Reed also suspended Mrozinski’s driver’s license for one year after he is released from jail. A charge of possession of marijuana was dismissed. Mrozinski was charged with the drug offenses following a traffic stop on Jan. 30, on Main Street in North Webster. Police learned that Mrozinski’s driver’s license was suspended with a prior conviction and found two plastic bags with a powdery residue, digital scale, pill bottle with a plant material inside, two glass smoking devices with a residue and a Tylenol bottle with three pills identified as Clonazepam. The residue tested positive for methamphetamine, and the plant material was identified as marijuana. Mrozinski admitted to not having a prescription for the Clonazepam. No court dates have been set on Mrozinski’s remaining four cases. Mrozinski was to appear in Kosciusko Superior Court 3 Thursday afternoon for a plea hearing regarding four counts of auto theft and one count of burglary. However, the plea hearing was continued to an undisclosed date. This case stems from vehicle thefts in the Syracuse area and St. Joseph County, Michigan, in March and early April, where he allegedly broke into a Syracuse residence, stole that person’s vehicle, and then proceeded to leave a stolen vehicle behind before stealing another vehicle. Court documents state a man reported his 2003 Ford Ranger stolen from his residence, but found a 2002 Chevrolet van and trailer with a 2008 Bad Boy Buggy parked next to his home. The van and trailer had been stolen from Syracuse. Earlier that month St. Joe County Sheriff’s Department, Michigan, notified local authorities they found a Ford F550 dump bed pickup truck at a business in that county, registered to a Kosciusko County business. That department also reported a 2003 Chevrolet Silverado and a 2003 Jeep Wrangler stolen. The Chevrolet had been recovered. When checking with the local business owner about the Ford F550, the owner stated his employees reported a Ford 520 parked at the business. That vehicle was reported stolen out of Michigan, and a Ford Ranger stolen from a Kosciusko County resident was recovered. Police, on April 4, located and recovered the 2003 Jeep Wrangler stolen out of St. Joseph County, Michigan, at the former Turtle Bay Mobile Home Park, Syracuse. A co-defendant in the case reportedly admitted to police he and Mrozinski were involved in the thefts. Mrozinski is facing another charge of theft in a case filed in Kosciusko Superior Court 2. A pre-trial conference is set for 1 p.m. Jan. 16, on that charge. The auto theft charge in this court is a level 6 felony. The case involves an individual reporting his vehicle stolen while it was parked at the Circle K in North Webster on April 3. Pre-trial conferences are set for Feb. 23, in two cases in Kosciusko Superior Court 2. One case involves charges of possession of marijuana, class B misdemeanor; possession of paraphernalia, class C misdemeanor; and dealing in marijuana, class A misdemeanor; filed Feb. 20, 2018. The second case involves charges of driving while suspended, a class A misdemeanor and speeding, an infraction, filed March 14, 2018.